Scott (the same Scott from earlier: https://fantasticvoyagesunlimited.com/2013/04/24/euro-garbonzo/) Hit me up wanting to add some flare to his car for an upcoming show. 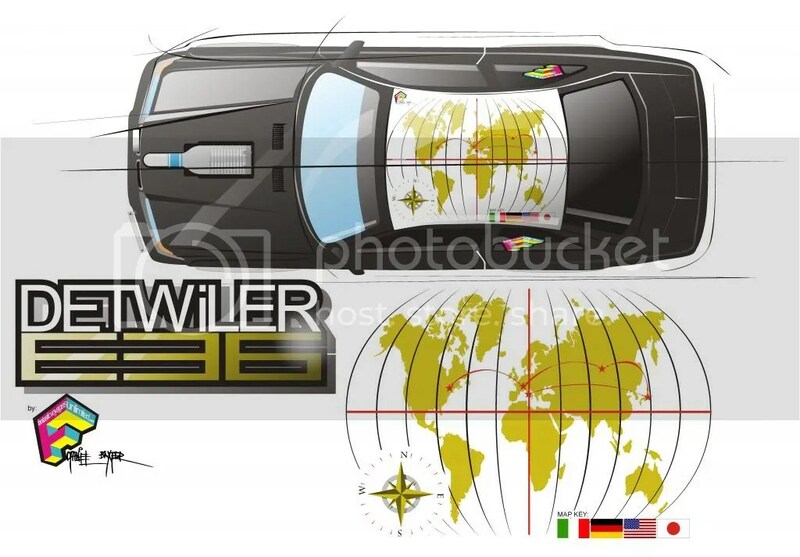 His idea was to have a map of the world and star specific locations that influenced his car. A pretty simple request and this is what I came up with.